The time to think about next year’s curriculum has arrived! This is an exciting time for some and frustrating for others because picking curriculum can be an overwhelming task. Remember there is no perfect curriculum, and never be afraid to switch gears even in midstream. Knowing your child’s learning style will help you cut down your options to a manageable list of resources. Plus, a curriculum choice based on your child’s learning style will more likely work for you. Will you be teaching one child or several? While each child will likely need his own math curriculum, you can simplify by using the same history, geography or science curriculum for all your children. The History of Mystery and The Ultimate Geography and Timeline Guide are excellent resources for simultaneously teaching children of various ages and grades. Gathering your children to learn together will also instill a family sense of learning and allow the children to help each other and learn from each other. 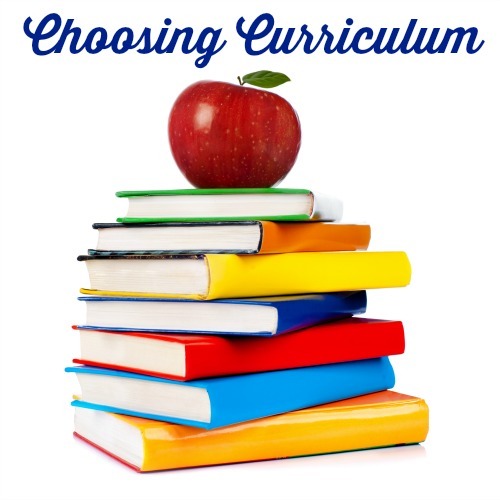 Another way to narrow your options is to decide if you will be choosing a faith based or secular curriculum. We use Christian Kids Explore Earth Science because I wanted a faith based curriculum that I could trust. I have children ranging from middle school to Kindergarten and all have enjoyed the curriculum. Everyone has a different dynamic in their home which informs the dynamic of the homeschool. In addition, some homeschool teachers love to spend hours creating their own materials while others want something scheduled for them. For me, I needed a curriculum that was open and go. Because my children prefer books and writing to digital resources, I don’t seek out online curriculum. I found Illuminations to be the best fit for us. It provided me a foolproof schedule based on my favorite materials. I suggest you make a list of what has worked for you in the past and why along with what has not worked and why. Assess your child’s learning style and your personal homeschool patterns. Kick to the curb any preconceived ideas of what a homeschool should look like. You are not a system; you are a mom and a teacher. There is no, nor should there be, any comparison from your home to the next home. Once you have your list in hand, you will be better equipped to choose the best materials for your children.